The first track and field championships were held in Missoula at Montana State University in 1904-for boys only. 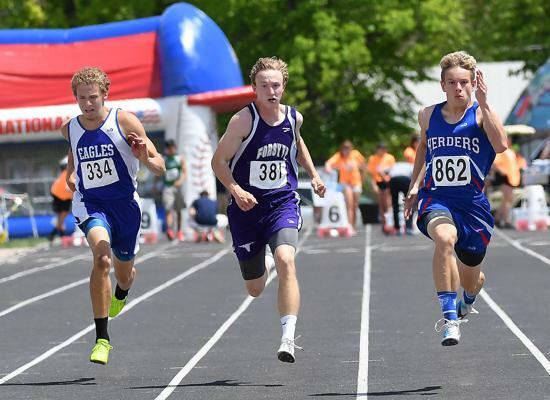 This sport was the flagship for what was called State Interscholastics for the next 60 plus years and those events were always in Missoula each spring. Interscholastic included track and field, golf, tennis, thespians and journalism. There was but one class until 1939 when A and B champions were named, 1954 when AA, A and B champions were crowned; finally four classes were the same as basketball in 1956. Girls' competition was added in 1969 with A and B divided. In 1972 the classes were the same as boys'. The events are now identical for both genders except for the hurdle races. Montana was one of the first states to triple jump with both genders and the same was true in the pole vault. 2015-2016 MHSA Track and Field Instructions for Using Athletic.net.